As many of you may or may nor know I don’t consider myself a strict traditional witch, though I do have a lot of traditional leanings. I feel that I needed more direct experiences and practices within Traditional witchcraft to consider myself a traditional witch. Training in the Feri tradition is a part of that. The other reason I didn’t consider myself really a traditional witch is that I didn’t work really directly with local land spirits and forces. I worked more with my personal energetic forces rather than spirits. That has been changing recently with my studies in the Feri tradition and in Hoodoo/Conjure. So recently I did a prayer and asked if there were any fairy spirit in the area to make themselves known. A few days later a mushroom ring appears in my backyard. For the first time in my life a fairy ring appeared in my home. It made me feel like the local fairies and spirits did take the first offering I gave at my home/house spirit shrine. Its just something I thought I would share. I have never experienced a fairy ring in my yard before. So for me its a special gift of the fairies. To me its a signal that my connections with the local forces and spirits is growing and they are listening to me. The Wiccan Way (Published in the UK as The Hedge Witches Way) is a very good book for beginners. This book covers a very simple way to practice magic and witchcraft without the requirement for long formal rituals. This book covers an important topic that most books on witchcraft don’t talk about, even those which come at witchcraft from the perspective of a religious practice. This book covers the concept, practice, and creation of witchcraft prayers. For many people the practice of magic and prayer are intricately connected. Many books teach that spell casting is a witches way of saying a prayer. While some spells are prayers, this book examines exactly what a witches prayer is. This book covers what makes a prayer a magical act and what makes a prayer an act of devotion, as a witch uses prayers both for magic and for forms of worship. The US title of the book is a bit more accurate than the UK title of Hedge Witches Way. The reason behind this is that Hedge witchcraft is a very specific form of witchcraft dealing heavily with trance work and spirit companions. While the author does include prayers for traveling and working with the spirit realms, the focus of the style of witchcraft in this book is not shamanic or trance based, and as such this book is not about Hedge witchcraft but a different form of modern Wicca or Wiccan styled witchcraft. The author calls the witchcraft and magic described in this book as Wildwood Mysticism. The author teaches that this particular form of witchcraft does not need intense structured and formal rituals. The author mentions here that maintaining an altar and saying a simple prayer to the God and Goddess is all that you need to do to practice this style and form of witchcraft. The first chapter in the book is all about prayer and enchantment. This first introduction chapter basically covers the nature of witchcraft. Here the author mentions a sense of nature being sacred, a connection with spirits and spirit forces, and why prayers can be effective ways of connecting with the various forces in life and that are responsible for life. The author even mentions just how easy it is for the distinction of the difference between a prayer and a spell to fade for witches, as witches who follow this path work their spells and magic through the use of prayer. The second chapter is a chapter about the Gods that are worshiped and prayed to in this particular tradition or style of witchcraft. The author starts the chapter by mentioning how the Gods of witches were demonized in the past and how we need to bring their truth back. The author then gives a basic idea about the God and Goddess of this tradition including an introduction to the cosmology or worldview of this practice explaining the three realms or worlds and how their God and Goddess manifests in each of them. The third chapter of this book is about mysteries. In religious witchcraft the experience of the mysteries is the goal of the rituals. In this specific tradition the experience of the mysteries is related to the prayers. This chapter explains why prayers help us access those mysteries and experiences. The chapter also explains why some prayers should be kept private and why some are meant to be shared. This chapter is key in understanding the importance of prayer in this style of witchcraft, as the mysteries are the experiences of the God and Goddess as well as magic and the flow of the universe. The fourth chapter in the book is about the theories and practices of magic. Here is where the author describes and defines clearly what wildwood mysticism means and is as a practice. The author here defines what it means to be a witch. The author ends the chapter with a list of the practices that makes one a wildwood mystic and a witch in this practice pointing out prayer being the central component to all of them. The fifth chapter is a chapter on initiation to wildwood mysticism. To the author the witchcraft is the action and practice of the magical aspects while the wildwood mysticism is the actual spiritual practice and components. Before one can be a witch in this practice they need to become attuned and accustomed to the forces of nature through a wildwood mystic initiation. This chapter provides the ritual and prayer outline for this practice. The chapter ends with ideas and areas of study to increase ones awareness of the tides of nature and the feelings of wildwood mysticsim. The sixth chapter in this book is about the maintenance and creation of an altar to the Gods and to the practice of wildwood mysticism. Here the author provides a very basic and simple idea of what an altar can be. There are no fancy elemental tools and associations on this altar set, rather a bowl of water, a twig or plant for the world tree and something for the God and Goddess. The key point here in this chapter is the practice of saying prayers at an altar as an act of devotion and worship. Its the idea that you can worship with prayers at an altar without elaborate rituals and ceremonial tools that you see in so many other books on witchcraft. The seventh chapter in the book covers initiation into the practice of witchcraft and the practice of gaining the powers of the witch. As shown earlier the practice of the mysticism and the witchcraft are separate yet connected. This chapter explores and explains how one can use prayers in ritual to gain the powers of a witch and to become a witch yourself providing several different prayers and ritual actions to naming oneself a witch with the powers of a witch. The next three chapters are very practical chapters. These chapters focus on the practice of need based prayers and magic. These chapters provide insight into the different types of spell work that wildwood mystic witches can and may perform. The eighth chapter gets into spells for healing. Here the author provides several different types of healing prayers and spell actions for different situations. The author explains how different types of prayers and a different world aspect should be used for different types of healing work. The prayers provided here serve as an excellent base for healing prayer and spell work. The ninth chapter in this book is again a chapter focused on spells and prayers for a specific need. This chapter focuses on money and wealth. Like everyone else witches have issues with money and they have bills to pay. This chapter provides several different unique prayers and spell actions for different types of wealth and money. The tenth chapter in this book focuses on good luck and good fortune. Like the other two chapters the prayers and spell actions in this chapter address the three worlds and the aspects of the God and Goddess in each realm that are important to those prayers. The author also examines the different types of good luck and good fortune out there and why you may want to work and pray for them. The eleventh chapter in this book is probably the most useful chapter in the book. It is in this chapter that the author finally teaches the reader how to write their own prayers. The nine previous chapters provided several different examples of prayers in different situations. By looking at those prayers a reader can have an idea of how prayers may be constructed. The author provides a three step process for writing prayers and provides blanks in them for you to insert your own concepts and addresses. There are also two prayers for example set up as being written. The twelfth chapter in the book focuses on writing prayers with the assistance of a familiar spirit. Familiar spirits and spirit guides are common themes and concepts in witchcraft traditions. Here the author explains and provides rituals to get and meet your own familiar spirit, but also explains how and why they are useful in prayer writing. The thirteenth chapter of the book focuses on another traditional practice of witches. That practice is the ability to travel in spirit body to the different realms and worlds. This is the one hedge witch and shamanic aspect of the book. While the other realms and worlds had been addressed through prayers and had spiritual associations given to the other realms, it is only in this chapter that the reader learns to navigate those realms themselves to gain spiritual insight and prayers of their own. The fourteenth chapter of this book focuses on steps on the path. 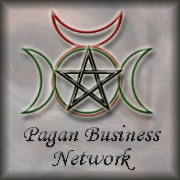 Here the author provides different tasks and steps that one can take to making wildwood mysticism and witchcraft their path and part of their daily lives. The author begins the chapter by showing through a symbol that the path of a witch is not straight and that it curves and spirals. The author provides examples of ways we look to the other worlds for guidance and nine different actions we can take to make our spirituality and life whole. This chapter is really about the work it takes to bring this spiritual path to daily life, providing ways to make it a part of your daily life. The final chapter in this book is about the wheel of the year. This chapter focuses on the typical 8 sabbats of religious witchcraft and ways to celebrate the wheel of the year. There are three different spell actions given for each sabbat (one for each of the worlds and realms) as well as a prayer that focuses on the energetic forces and theme of the sabbat. By the end of the book the reader has an understanding of a cohesive style and tradition of witchcraft that works with minimal tools, nature energies, and prayer. The book teaches witches not only the importance of prayer work, but how effective prayers can be as a magical and spiritual practice and focus all on their own. 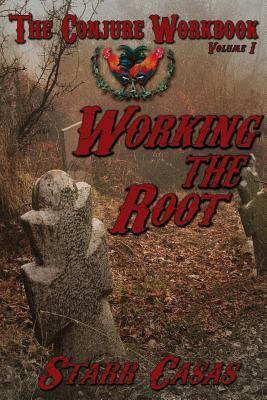 The Conjure Workbook Volume 1: Working the Root is an excellent tome on Southern Conjure work. When I picked up this tome I knew that it was going to be full of Christian mysticism and biblical references. That is what Hoodoo and conjure is. The Southern Hoodoo and conjure traditions are a mixture of folk beliefs from pre-slave days in Africa and the various Christian faiths in the south. This was how the slaves were able to hold on to a bit of their previous culture and identity. If those who are looking to learn about Hoodoo and conjure work are expecting information to come from a pagan perspective and are looking at this work they will be disappointed. Mama Starr is very clear about her roots and the roots of Southern Conjure which are in Christian belief systems of the south. While she does say that you can be of any belief system and still work the spells and rituals she provides, unless you respect the Bible and understand that it is filled with lore, spells, and practices you will not get anything out of this book. The author begins the book by discussing the work of ancestors. Here the author begins explaining one of the core concepts and beliefs across Conjure/Hoodoo/Rootwork traditions. There is an overall belief in an existence of an afterlife and that our ancestors will be there to answer us. The author starts by describing how they help us and work with us and finally ends with setting up an altar to venerate and pray to your ancestors. I mentioned the importance of respect for the Bible as a sacred text and as a book of power as that is the second topic discussed in the book. As I said early on the author is clear in that this book is a southern conjure book which is going to have referenced to the Bible in there. Most of the references are in the Old Testament but they are still Bible references. After working with the ancestors is covered, crafting altars and work spaces is discussed, and the Bible is mentioned as an important source the Author gets into the spirits and beings that are often worked with in her practice of Hoodoo. Prior to reading this book I was aware of the work with the archangels and the saints. Here I learned of new spirits and beings also associated with Conjure as well as how we can even work with the prophets in the bible. Each being mentioned came with several different prayers and ways that you can work with them. These early workings are here to give you an idea about the powers each spirit has. These workings also introduce you to the concepts of repeating works, and how actual effort is put into the work. The author makes it clear that these things are repeated several times for effectiveness. 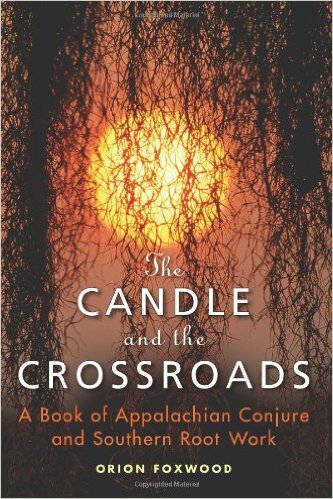 As the book continues the author mentions and focuses on another core belief in rootworking traditions. That belief and practice is one of divination. Starr provides many different ways of working divination including a very traditional practice of reading the bones. While the actual practice of bone reading is not discussed, the author does include its history of use. The author included a photo of her own bone set. As the book continues the author continues an easy to follow step by step instruction on workings. The author also continues her straight talk. The author is very serious about their work and their tradition. Throughout the book the author mentions how some of these works are dangerous and are not to be simply played with. She does this not to discourage people from doing these works, but to encourage people to take the work seriously. The author does speak only of their own tradition and practices. While the author does give you all the information you need to create your own Hoodoo/Conjure practice she does encourage you to find an actual teacher to learn more complex works. As an example the author explains why some packet spells written by other authors aren’t as effective as they could be because of folding the paper of the packet in a different manner than she was taught with an explanation of why the other method may actually backfire. This book is filled with practical information. With the authors attitude, explanations, and the step by step processes in the book the tome The Conjure Workbook volume 1: Working the Root provides everything you need to know in order to effective start working your own spells and rituals. By working the spells in the book you develop understanding of associations and correspondences which can be useful in creating your own effective spells.